Fado da Boa Hora, originally uploaded by Gatochy. Sheet music cover, scanned from a sugar packet. Fado da Madragoa, 1937, originally uploaded by Gatochy. Greta Garbo 'The Temptress' 1926, originally uploaded by greta_g. Stuart Carvalhais, Fado Espanhol, 1927, originally uploaded by Gatochy. Sheet music cover. Scanned from a sugar packet. Mirror, mirror, originally uploaded by starduste. Stuart Carvalhais, Fado Paris, 1927, originally uploaded by Gatochy. Scanned from a sugar packet. 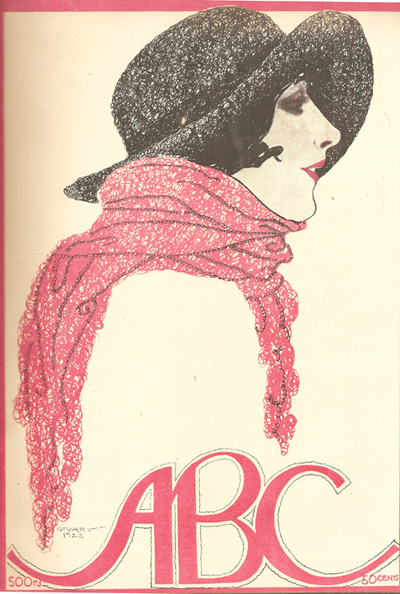 Stuart Carvalhais, ABC magazine, 1922 - cover, originally uploaded by Gatochy.